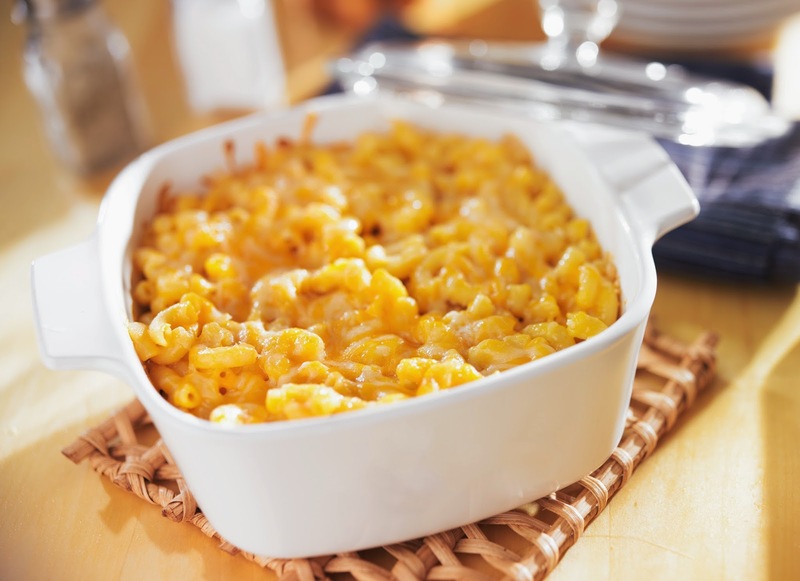 This is our all time favorite Mac and Cheese. It is super creamy with five different cheeses. Lightly butter a deep 2 and 1/2 quart baking dish. Fill a large pot of water and bring to a boil. Add macaroni and 1 tbs of oil. Cook for about 7 minutes or until almost tender. In a small sauce pan, melt 8 tbs of the butter then stir in the macaroni. In a large bowl combine all of the shredded cheeses. To the macaroni, add 1 and 1/2 cups of the shredded cheeses, the half and half, the cubed Velveeta, the eggs, seasoned salt and black pepper. Transfer to the prepared casserole dish and top with the remaining 1/2 cup of shredded cheese. Dot with the remaining 1 tbs of the butter.